TAMPA, Fla., Sept. 24, 2014 - U.S. military forces and partner nations, including Saudi Arabia and the United Arab Emirates, attacked Islamic State of Iraq and the Levant terrorists in Syria today, using a mix of fighter and remotely piloted aircraft to conduct 13 airstrikes against 12 ISIL-controlled modular oil refineries in remote areas of eastern Syria near Mayadin, Hasakah, and Abu Kamal and an ISIL vehicle near Dayr az Zawr, also in eastern Syria, U.S. Central Command officials reported. Centcom officials said they are still assessing the outcome of the attack on the refineries, but have initial indications that the strikes were successful. The ISIL vehicle was destroyed, they added. The small-scale refineries provided fuel to run ISIL operations, money to finance their continued attacks throughout Iraq and Syria, and an economic asset to support their future operations, Centcom officials said. Producing 300 to 500 barrels of refined petroleum per day, ISIL is estimated to generate as much as $2 million per day from these refineries. The destruction and degradation of these targets further limits ISIL's ability to lead, control, project power and conduct operations, officials said. To conduct these strikes, the U.S. employed Air Force fighter aircraft deployed to the Centcom area of operations. 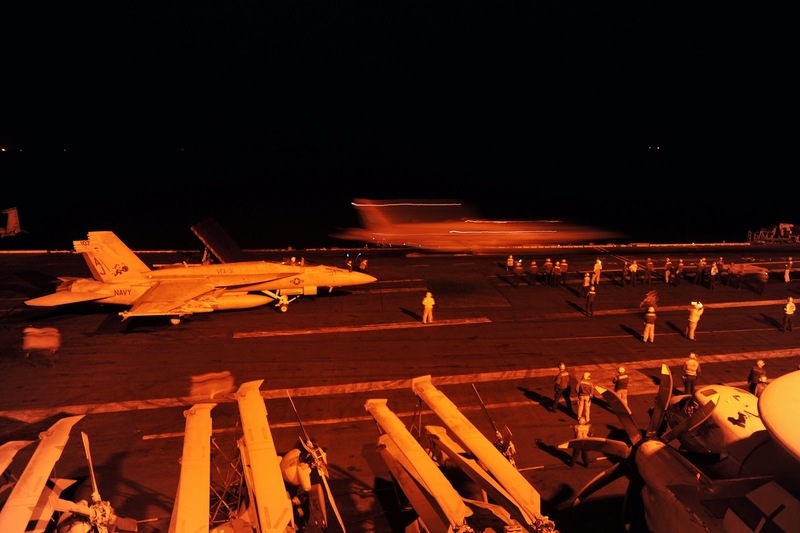 Saudi Arabia and the United Arab Emirates also participated in the airstrikes, officials said, and all aircraft safely exited the strike areas.